As we take down the Christmas decor, sometimes our homes feel bare and cold, just as the coldest temperatures hit outdoors. I’m not so focused on light and airy decor in January. I want cozy, warm, and comfy. You may have added some of these elements for Christmas and it’s great to keep those in your home, while you take down the obvious Christmas things. If you listen to our podcast, then you’ll do we have been running our favorite episodes during the holidays. Today we’ve got a brand new episode for you. It’s all about our New Year’s Decorating Resolutions. What? Did you expect a resolution about exercising or losing weight? Check it out!!! 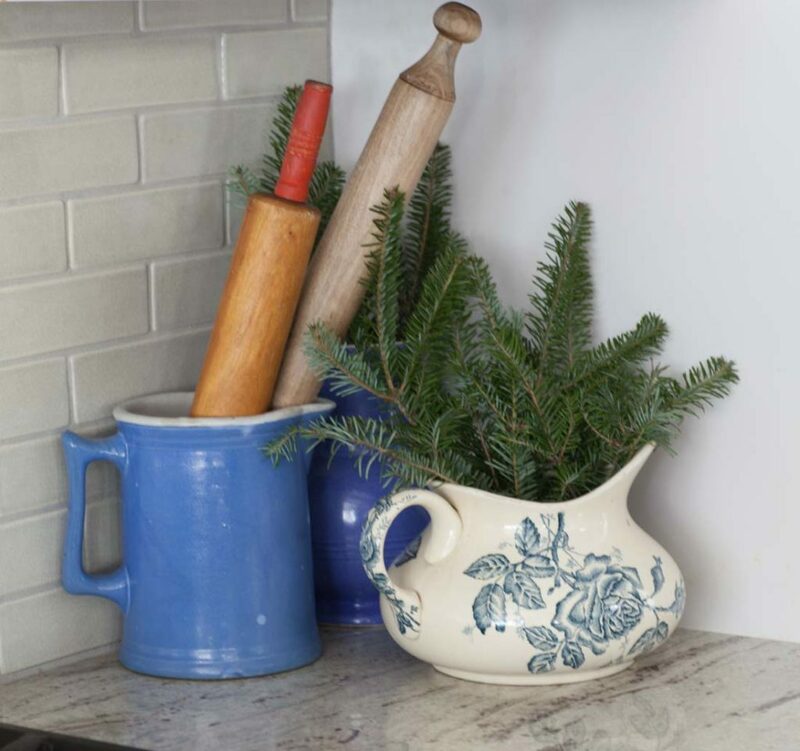 I love to add pinecones and evergreens to the room. The evergreens are real, so they will turn brown over time. This is not a lot of pinecones, just enough to fill a footed bowl. It also has a few nuts in there. This is a mixture of smaller pinecones. You don’t need to go overboard here. I used to have several pine trees in our yard at our old house. Guess I should have grabbed more pinecones while they were free! I added these lights to the bottles over the holidays, but plan to keep using them all year. Why not? I added some evergreen sprigs to some pitchers in my kitchen. Yes I had these in the kitchen for Christmas, but without the shiny ornaments, they just say ‘winter’. It’s also time to bring out your furry decor. This throw is my favorite! 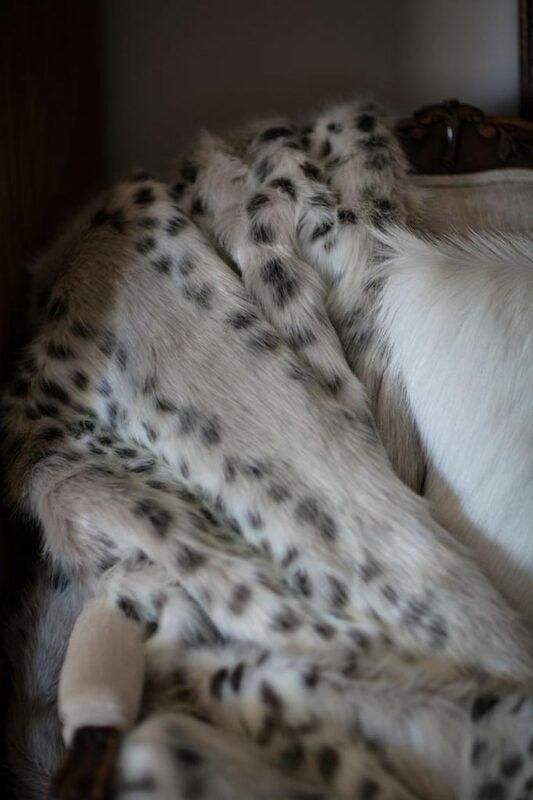 I also have a faux mink pillow somewhere, but I haven’t found it yet. It must be in a closet somewhere. It’s heavy, which is really nice on a cold day. It’s so soft. I’ve tested it, and it is officially nap-compatible. I also use a lambswool rug as a throw on this bench in our dining room. Find my favorite winter selections and more on Amazon, CLICK HERE. Awww, I know. The house can seem bare after Christmas. I too have often felt my house was bare and “cold” after taking down all the Christmas garlands and decor after the New Year. But a few years back I started using more seasonal decor as opposed to holiday specific decor and now I find that after my Christmas tree is taken down and the garlands are put away my house still looks warm and cozy. 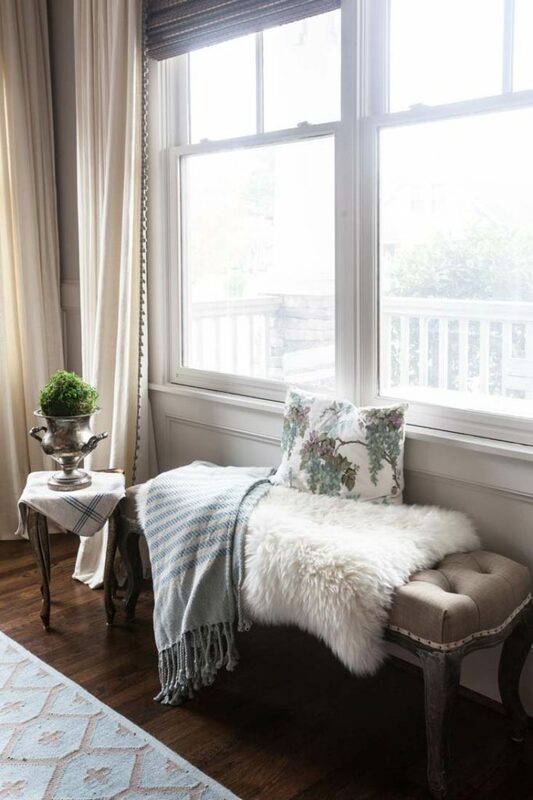 Baskets filled with large pine cones, a warm plaid throw and matching pillows, candles in the window to welcome me home in the evening. And the good thing about going with seasonal decor is that I have been able to eliminate so many plastic storage bins of decor for all the holidays. I’m with Linda Payne on this subject. For the last few years I’ve purged a lot of my Christmas specific things, I only kept my Grandmother’s vintage snowman and elves, the rest is all neutral and I rely heavily on greens and pine cones. I use fairy lights as well. Last year I left them out far into the winter season, but this year I packed them up. Now I’m thinking about getting them back out! I have about half the number of boxes I used to have and most fit on the top shelf in my closet, the rest go in the attic which makes Mr B much happier. 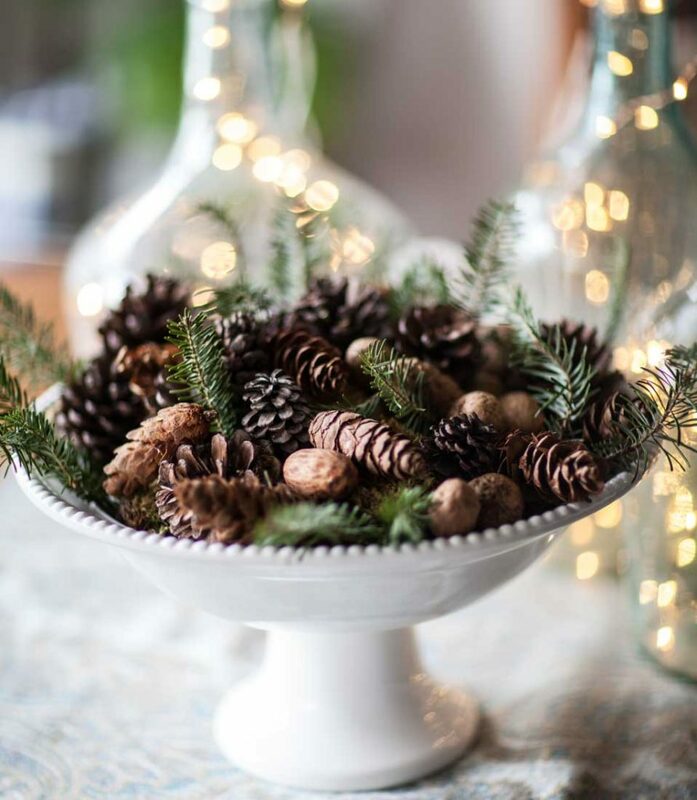 After the tree is down and the ornaments packed, a simple bowl of greenery and pinecones graces my farmhouse table and a few throws are enough for winter in Florida. Fairy and string lights are forever! I love them year round. Thanks for including them in your list and validating us amateurs ? Love the look of the fairy lights in the bottles, but how do you hide the battery pack? They are behind the bottles, but you can put them in something, like a box if you want. Where did you hide the battery packs for the lights in the bottles on the breakfast table? Mildred, they are behind the bottles. At one point I hid them in a tureen. So pretty and easy to do. It’s so much nicer than leaving your home bare until Spring arrives. 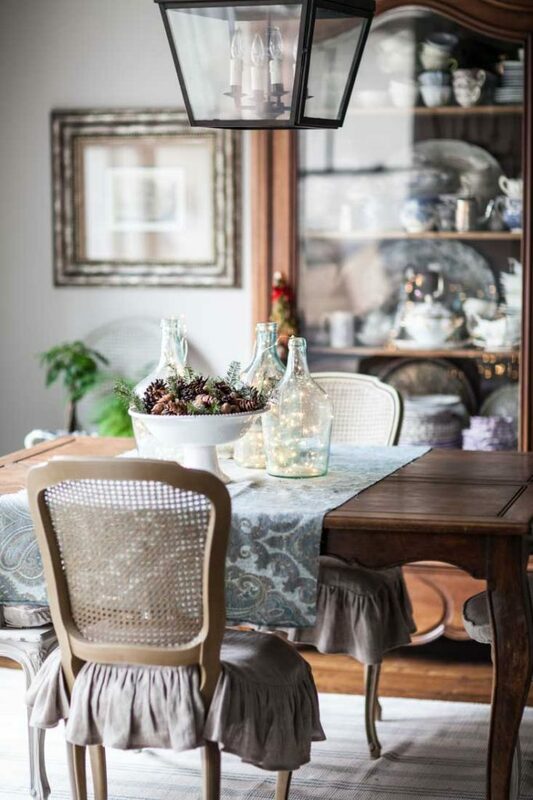 I’m in the process of transitioning to winter decor, and I’m collecting ideas! I love the lights inside the jars. And I happen to have some lights and apothecary jars, so I think that might have to find its way into my decor! Thank you for sharing! 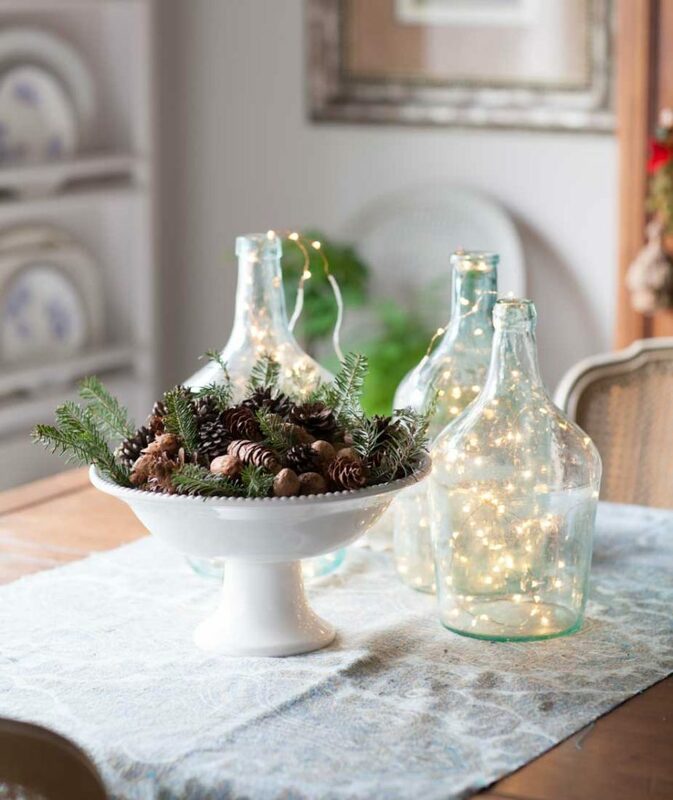 Lovely ideas–I love the string lights in the bottles. It allows you to keep some sparkle going even after the holidays are over. So beautiful! Love the decor that is so simple! Where did you get your drapery? It’s lovely! They are from Bali Blinds Liz. I’ve never done winter decorating, but I love the idea of “coming down” slowly from Christmas with some seasonal decor. Thanks for the great ideas. Do you happen to know where the cane chairs came from or who might manufacture them? Vickie, I found the chairs at a French auction. They were made in France, and I am pretty sure they are vintage. I’ve never seen new chairs like these. I wish they still made them. I love your decoration – everything looks amazing! I also love to decorate with furry blankets and pillows. Thank you Alicia! Me too!!! Very smart approach Kathy, and I bet it’s lovely. I like that your decor items feel like winter without all the extra baubles. Makes it easy to keep throughout the entire winter season without any added fuss. Happy New Year, Anita! 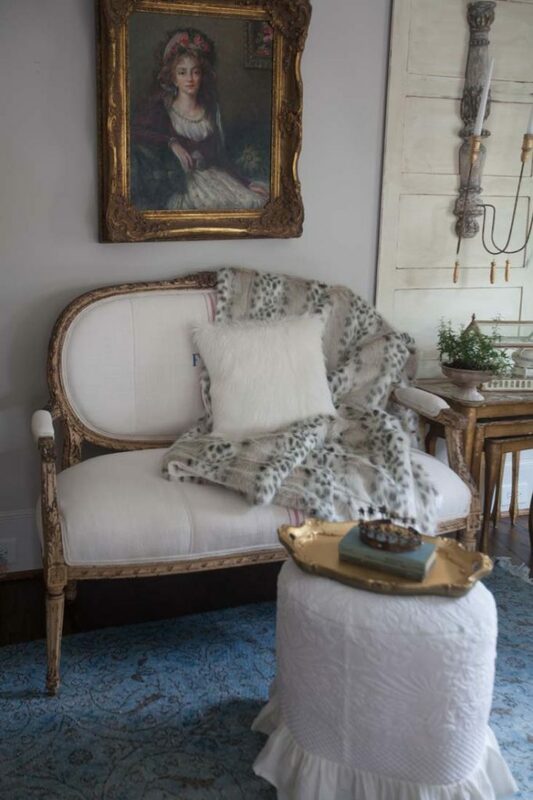 I love your soft romantic decor and the mink throw and pinecones. I picked up a faux fur throw at a Thanksgiving Black Friday sale and it is soooo soft and I just love it! Happily sharing your ideas and featuring you this week at Share Your Style #191. Oh Barbara, that throw sounds so dreamy!